You can register for both the convention and golf tournament on this one form. Click on this 2019 Registration Form link to download and print form. 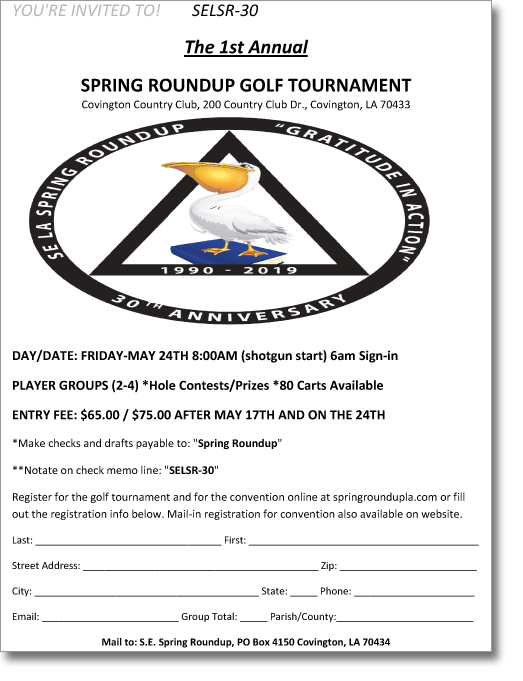 Golf Tournament 2019 registration form if you would only like to register for the golf tournament only. You can also Register Online for both the convention and tournament.